Meghan Grant, a gold medal-winning member of Canada’s national cycling team, will be the special guest at the annual fundraising breakfast. 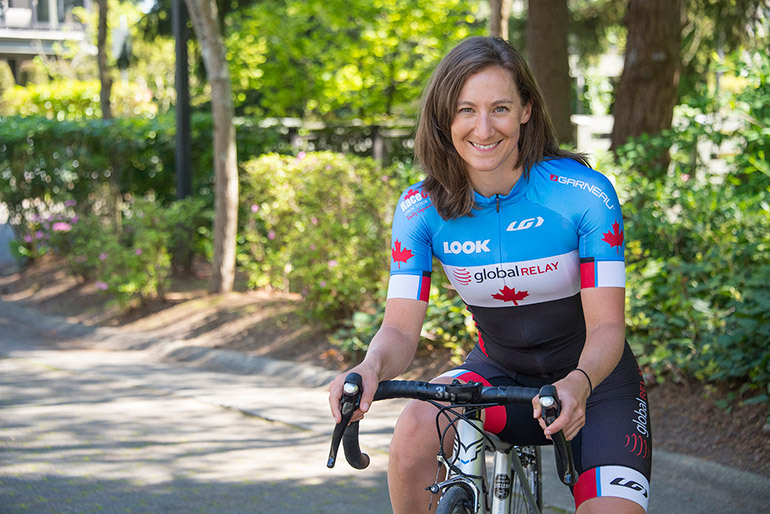 This year's event takes place Friday, April 5 at the Coast Capri Hotel, with doors opening at 6:45 a.m.
Grant discovered cycling only a few years ago and she will share her journey from unhealthy medical resident to one of Canada’s top athletes. Along with being an emergency room doctor in Vancouver, she is also an advocate for holistic health and wellness. And she made it to the semi-final round in Canada’s latest search for astronauts. Each spring, UBC’s Okanagan campus hosts the breakfast, which raises funds for the Athletic Scholarship Endowment. Through the endowment fund, UBC is able to recruit and retain high-achieving students to the Okanagan campus, explains Tom Huisman, director of Athletics and Recreation. Since 2006, the funds raised at the Athletics Scholarship Breakfast have supported more than 200 student-athletes in achieving their academic and athletic goals. Pat Kennedy, managing director of the Central Okanagan Sports Hall of Fame, will host an interview-style conversation with Grant at the event. The program also features remarks by student-athlete Jordan Korol a fourth-year co-captain of the women's basketball team. Korol, an Academic All-Canadian, won on- and off-the-court this year, taking home the Canada West Student-Athlete Community Service award. A cancer survivor, Korol volunteers with the BC Cancer Society in her spare time. UBC matches the proceeds of the RBC/UBC Okanagan Athletics Breakfast. So far, more than $920,000 has been raised for the Athletics Scholarship Endowment. As a result, $33,000 is available to student-athletes scholarships this year.